﻿ Let the Heavens Declare! Chris Ashcraft M.S., M.Ed., MTMS. Modern astronomy offers mankind a look at the cosmos never before seen. The size and beauty of astronomical bodies is a testimony to the magnificence that is our Father in heaven. This presentation aptly uses the scale of the cosmos to guide viewers to a better appreciation of the Glory of God as is revealed by the heavens. Drawing from images taken by space telescopes and spacecraft, we will tour the solar system, distant nebulae, and galaxies that testify of the creators power. Download files: Note - videos using to enhance this presentation were removed before uploading to YouTube. The full version of the video may be downloaded below. Download Zip File (1 GB) includes PowerPoint file and additional videos. 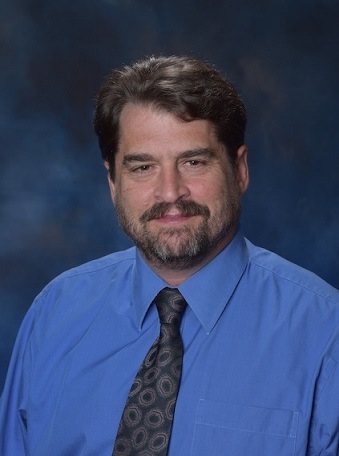 Chris Ashcraft is a Christian educator employed as high school science teacher at Cedar Park Christian Schools, and Adjunct Professor at Northwest University. Chris has also worked in plant biotechnology. He was a research technician at the Cotton Fiber Production Laboratory at Texas Tech University, then at the Plant Transformation Facility at Oklahoma State University, and lastly was the Plant Transformation Specialist for EDEN Bioscience in Bothell Washington. The Apologetics Symposium is an educational program addressing the conflicts that exist between naturalism and the Biblical worldview. As part of a weekly Wednesday evening series at Cedar Park Church, this program features a different speaker each month. Join us in person or through our live webcast for multimedia presentations from educators and scientists who are dedicated to defending the Bible.